Jesus manifests to her the sinister interpretations which are made about her, and He repeats to her that through Fr. Germano he would persuade the Confessor. (August 1900. – Cf. P. GERM. n. XIII). Yesterday evening Jesus told me to ask You for Fr. Germano to come. Do as You see fit. Then yesterday evening Jesus made me to recognize the many people who have thought badly concerning me: one even thought that I was a sleepwalker; others believe that I am sick; others say concerning the signs in my hands and feet that it is I myself who scratch them. 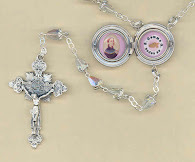 Jesus told me that they are all things which He permits; He will permit even worse, but He assured me that through Fr. Germano He would persuade my Confessor. Jesus allows the other people to remain the way they are. I ask You for your Blessing and pray for me because I need it. Tormented by the demons, she is liberated at once having in her hands the image of St. Gabriel. She asks her Confessor to take from her the gift of prayers. (August – September 1900. – Cf. P. GERM. n. VIII). Today I’ve been very bad, maybe even worse than last night. Last night Jesus permitted it for yesterday’s disobedience; today I asked my sorrowful Mamma why she gave me even to the hands of the devil; she responded to me, first because this morning (I don’t know what for) for questions which was made to me for which I responded very badly, so boldly that Jesus was left offended. + Then because Fra Flamiano was with us; he told me to go pray and Ms. Cecilia told me to do that what seemed to me so uncertain; the anger took me so strongly that I couldn’t [pray] anymore. + Finally I went over there; I prayed a bit, but the devil came after all, and to tell you the truth I suffered some. It was not just one, but it was two. I was dismayed; I had Jesus in mind, but I could not utter [His name] with my mouth. The Madonna had recently told me: “Behold yourself in the assault. It will last until you are able to have the image of Br. Gabriel.” It was true; I struggled to get it, I was able to tell them to give it to me, and I was left liberated. Monsignor, out of charity, I would not like to disobey in any way, I beg you for one thing: that you take from me (you very well can order it) the going into ecstasy in time of prayer. Jesus too wants it to be so, at least for this time; but, if you can, leave my recollection above all. Yesterday morning after Holy Communion Jesus told me to tell You that for an entire month He will take from me (how I suffer in saying these words) the gift of prayer. -It is another big thing I had to tell You. She is tempted by desperation and is beaten by the devil: Jesus comforts her, telling her that to suffer is the greatest gift which He can give to a soul. Beaten anew by the devil, she is helped by St. Gabriel, who speaks to her of the monastery to be founded in Lucca and he assures her that she will be a Passionist. During Communion Jesus He makes Himself felt, filling her mouth with His Blood. (August – September 1900. –Cf. P. GERM. n. X). Then tonight Br. Gabriel came. Yesterday evening I felt so tired, that it came from Jesus to tell me to rest a little; in fact I went to my bedroom, and there I found the usual big and hairy man; he began to strike me with a rope full of spikes, and he beat me because he wanted me to listen to him + who instructed me to do something evil +. I said no, and he struck me harder; he caused me to bang my head so strongly on the ground, that it was necessary for me to say: “Br. Gabriel, help me.” He came at once, but he was not alone however: he was with another older Passionist. As soon as the devil saw him, he escaped, and while he escaped I saw the fire; however I was left without strength and on the floor, but Br. Gabriel helped me to get up, he blessed me and told me: “Gemma, are you tired of the devil?” I responded I wasn’t, that I am ready with Jesus wants; I asked him how much more time I have, and he told me: “Still someday, and the devil will treat you even worse, because you are at the end; have courage and call me when you want me, for I will always come. He then blessed me and left me alone; but I slept almost three hours; after I went to receive Holy Communion, and Jesus made Himself felt anew, and do you know in what way this morning? Just having the Host in my mouth, my mouth filled with Blood; but that Blood was so good, and He let it fall from my mouth and He sent it as far as my heart. It lasted more than fifteen minutes. Jesus, through St. Gabriel, liberates her from the external vexations of the devil, but He announces to her new interior burdens. Gemma wants to suffer for a sister, Jesus demands the permission of the Confessor. (August – September 1900 – Cf. P. GERM. n. X). + I asked Jesus that if He wanted to make me suffer another little bit those things, I would do it, for I would have offered all for the souls in Purgatory. But Jesus responded to me that He would liberate me there at once, mostly so you could put me in a convent at once, otherwise He would not have, but from suffering He would give me so much, but everything internally. Then Br. Gabriel came: [it seemed that] he put his hand on my head and he made me repeat three times: Ab insidiis diaboli, libera nos, Domine. I said it, and so too Ms. Cecilia said it, and (it seemed) that he blessed me and then left me. Now I am with the nuns [Gemma is visiting a convent]. Ms. Cecilia went to the country cottage, and this evening I am going home. How bad I feel voluntarily! It’s been three days that I’ve been gone, and I am afraid that they’ll yell at me. Jesus then reproached me, because (if you remember well what I told you also, that I asked Jesus that He leave Sister Nazarena in peace and afflict me); and Jesus scolded me and told me that without Your permission I must not ask Him. I promised Jesus to obey. Today the nuns are making the retreat to prepare oneself for death; I am making it also, and then I need You to come to confess me, because I have too many sins. As a reward for her sufferings, Jesus lets her kiss His wounds. St. Gabriel tells her it is the will of Jesus that in coming she be liberated from every kind of temptation. (August – September 1900 – Cf. P. GERM. n. XV). 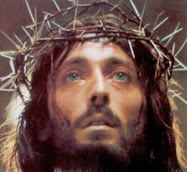 He told me that in these days He was always with me; He saw that I suffered, and He smiled: He also told me that as a reward, because I have combated so much, I could kiss His wounds. But for so little that I had passed, I did not deserve a reward so big. Jesus showed me all His wounds, He made me come close to Him, I kissed them all; when I went to that of the Side, I felt unable to resist. How happy I was! Jesus made me to forget all these days which I passed in just a few moments [with Him]. Then Br. Gabriel came also (because it is this Saint which I love so much), and he told me that he had liberated me from all kinds of temptation; I begged him (I don’t know if I do well), that he leave me some, because if not, I would have nothing to give to Jesus when He arrives in the evening. I’ve passed certain days, and in the evening I had nothing to give to Jesus, and I felt bad. But Br. Gabriel told me that now instead he had freed me from everything, because Jesus wanted it, and I am entirely liberated. In what then I would suffer, he would give me from the occasion by day. I understand well that which I must say. He blessed me and left me content. She feels faint in hearing one of her brothers blaspheme; her Guardian Angel sustains her. The Heavenly Mother wants her to be a Passionist or in Paradise. (September 1900. –Cf. P. GERM. n. XIX). Ms. Cecilia feels sick and she cannot take me there to you to confess; I will tell my aunts, but I’m not careful, because they know that I went there Saturday [to confess] and they say that it is too often and that I have scruples, and then, if they saw that I am there too much, it would be worse for me [because of them]. Now I will tell you something, because if not, I am so ashamed in the confessional. The other day at dinner (I was in my house) my brother began to blaspheme, because he did not like what was there to eat, and he blasphemed so much. It hurt me a little, and I was about to fall to the floor from the seat [faint- editor], and then my Guardian Angel told me, “I do not want you to be disturbed “; he made me to rest my head upon his shoulder and he bore me. It seemed that my aunts noticed something, because they cried, and they did not see the moment in which Ms. Cecilia came to take me. Another thing: when I told You to put me in a convent, it was the great desire which I had. Jesus told me: “Yes, but a Passionist convent”; and other times He told me to tell You to hide me. But now I will not say anything, because my Mamma does not wish anything for me but to be a Passionist; if not, to be in Paradise. Oh good, in Paradise! Will I go there? I have other things to say, but I will tell them to you in person. The last time I confessed badly, because out of shame I left out something, but Ms. Cecilia told me that she told You what it was. Oh how will I do it, if [Ms. Cecilia] still feels bad? She needs to be alone; I cannot go to Jesus because I feel bad. Order her to be well at once, if not, it will go badly without her. 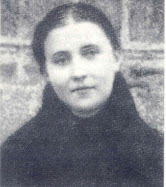 She asks for permission to go to the Passionists at Corneto, to be admitted as a servant. (September 1900. –Cf. P. GERM. n. XVIII). Do me the charity: would you take me out from the world? I cannot live so anymore, I cannot be with Jesus whenever I would like, do you believe it? I just cannot anymore. Put me in whatever place: I will work, I will be as a servant to the nuns, but take me: I do not find quiet, because I cannot be in a convent. I wanted to tell you something this morning, but I was not careful. Yesterday evening Fr. 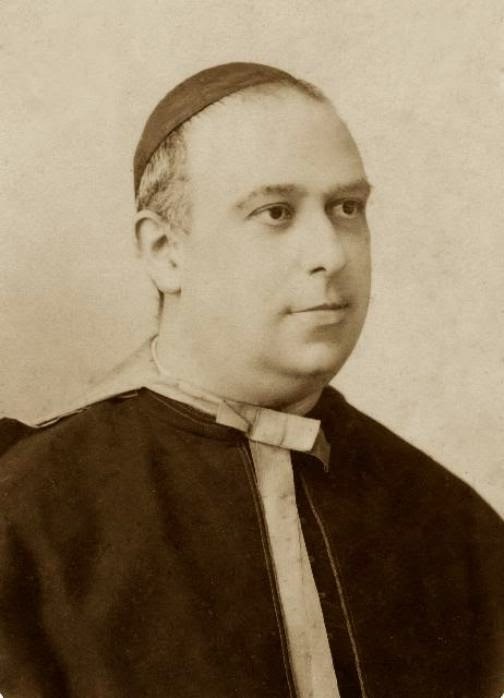 Gaetano said (who had then returned here from Rome) that the Passionist nuns will open the Novitiate in the month of October. This morning Annetta spoke to me about it, and she has the idea of being there. And me? Monsignor, are you content that I go there? I will go up there and will ask that they take me to serve; even as a servant, if they want me. I would be so happy, even if they had me as a servant. It would be my place. Would you give me, truly, this permission? They will take me, you know. When I am up there, I’ll look for Fr. Germano, and if He says, they won’t send me away. Would you send me there, really? Jesus instructs her to tell the Confessor that, if he does not place her in a convent, the burden she suffers will cause her to die. I have suffered so much to write it to you: I was too ashamed. I told it first to Ms. Cecilia, and she obligated me to tell it at once: I wanted to wait to write tomorrow, because I have to ask other things of Jesus, but she wanted me to write at once. But now I do not feel the burden, today I am very well. She is ready to go temporarily with the Zitine Sisters. Jesus repeats to her still that the Confessor hid her and be quick. (First days of October 1900). She asks for permission to ask Jesus for the grace to die ethically. She feels Jesus’ remoteness, but rejoices in being dearer to Him because of the contradictions she has had. (Around the 16th of October 1900. –Cf. P. GERM. n. XVII). If you would give me a permission, how happy I would be! Another time you told me no; Will you tell me not his time as well? Content me. If I asked Jesus to die ethically (but you understand, when it is time, not in the least now), would you be okay? What a consolation I would have, if you told me yes! This evening will you tell me, really? I will have this desire, but in every way I am content to do that which You wish. Ms. Cecilia has returned; she is alone, she has me with her; how well I am! No one sees me, I can do that which I want, but almost always Jesus is missing from me. How far He has gone! If now He had been with me, I could always be with Him; now I will be certain that no one would see me. How Jesus appreciated it! He loves me far more: I could understand it this morning after Holy Communion. I truly did not believe I had did anything for Jesus, and instead He remained so happy, as if I had done so much. Because of His mercy the occasions are not lacking even now; everything is in my wicked will, and in my inclination to sin. If You have five minutes of time, go to the Capuchins… Jesus wishes for You to hide me in whichever convent; do not doubt. Rather than with the Zitine sisters, she prefers that the Monsignor speak with the Capuchins. She begs him to send her absolution for certain sins. Before going away I will need absolution, because this morning I committed two sins, one venial and the other mortal. I disputed a little with my aunts, but the reason was all theirs. And then I cast looks upon myself. Do me the charity of sending me absolution. I do not find peace. How evil I am! I am not able to be good. The Capuchins will take me even as deposit. Jesus reassures her in her uncertainties and doubts; He shows her His wounds and invites her to Himself, but to obey Gemma does not distance herself from her Confessor. Jesus rejoices in her obedience, she remembers to daily make the visit of humility to the Blessed Sacrament. I spoke and Jesus looked at me and he also wanted me to look at His wounds, which all poured out blood, and He told me: “Come, come closer, look at these wounds, touch them. No, be assured, I do not deceive you…” I cried, but I did not come closer, and He often replied: “No, I am not deceiving you, be assured. Tell your Confessor to also do that which I wish. I am ready to make him to understand things clearly, so as not to have any doubt.” Then He stopped speaking, but in seeing Jesus in this state, I felt so bad, and it seemed to me to feel something in my hands and feet; but having just realized, I got up, I escaped at once, I left Jesus there, and so I obeyed and was content. Later then I wanted to go to see if Jesus was still where I had left Him, but He was not there anymore. Then this morning, after Holy Communion, I felt Him; He was very happy, and He told me to be good, obedient, that everything will go well. Then I did not know what He meant to tell me with these words: “Tell me, Gemma, yesterday you did not even come before the Sacrament to…” and He was quiet. “To do what?” (and already for some days I respond severely to Jesus because Fr. Germano says, but He [=Jesus] told me nothing, because I must obey). “The visit of humility which Fr. Germano advised you.” Then I remembered immediately, and Jesus told me not to leave it out even or a day, and as my Guardian Angel will show me, I am to do it. For now I have seen no one. Today I am going to Church to the nuns, and I will and I will do it, I will see how. In thinking back to Communion, love for Jesus and the desire to suffer increase in her heart. Jesus foretells intense burdens of the spirit and of the flesh. (October 1900. – Cf. P. GERM. n. XVI). And Jesus, making Himself heard very loudly, told me: “Oh daughter, since love is shown to me with suffering, you from now on shall feel it intensely in spirit, and later intensely in the flesh.” Of those things I do not know what to say, because I do not understand them. I will be good, and will obey You always. Jesus wishes to make her pass through all the stages of the mystical life and then take her to Heaven. In the forces of the heart she has caused much blood in her mouth; she prays her aunts do not see. (November - December 1900. –Cf. P. GERM. n. XIX). One morning, after having received Holy Communion, it seemed to me that Jesus told me these words: your Confessor must already be cautious, for I wish to make you pass through the whole range of the mystical life. The first part of your life is already transpired; presently we are at the end of the loving sorrow, then shall come the painful sorrow, and finally the dark dark night: and this one shall be the second and the last part of your life; and at the end of this, oh My daughter, I will take you… to Heaven.” Long live Jesus! Another big thing. Listen: Ms. Cecilia says she would like to tell my aunts. I cried, because I am afraid that she will really tell them; do you know what would happen? They would make me stay in bed, to see a doctor. Goodbye Jesus! 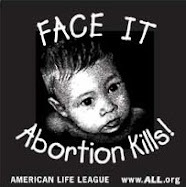 Tell her immediately, because Jesus does not want this to happen or to speak of it. I will obey at once. She asks the Monsignor when she can confess with him. You would do me a great charity if you could let us know at what time possibly today you can confess me, because Ms. Cecilia cannot have her mother so lonely because today she feels very bad. She explains her fear about a sin and she begs the Monsignor to speak with Ms. Cecilia to suspend the occasion. I cannot be at peace because I am afraid of dying and of going to Hell for that sin. I immediately did penance, but even now it seems that Jesus does not love me anymore. I told that to Ms. Cecilia; I beg You also to tell her that she withhold, because first of all for that which I’ve already said and then for something even bigger which I told you this morning, but it is big. But however Jesus wishes that day or evening You are also there, for it is more than necessary that You are there. I will tell You better in the morning, however today do not do anything. And then I will not be here to make myself seen because… I will tell You tomorrow morning. Every morning Jesus repeats to her to tell the Confessor to hide her soon. Listen: I will tell You something, but then do what You think. Every morning Jesus always tells me: “Tell Your Confessor that it is I Who wills it: to hide you and be quick.” This morning He told it to me even through the street. I am very bad. 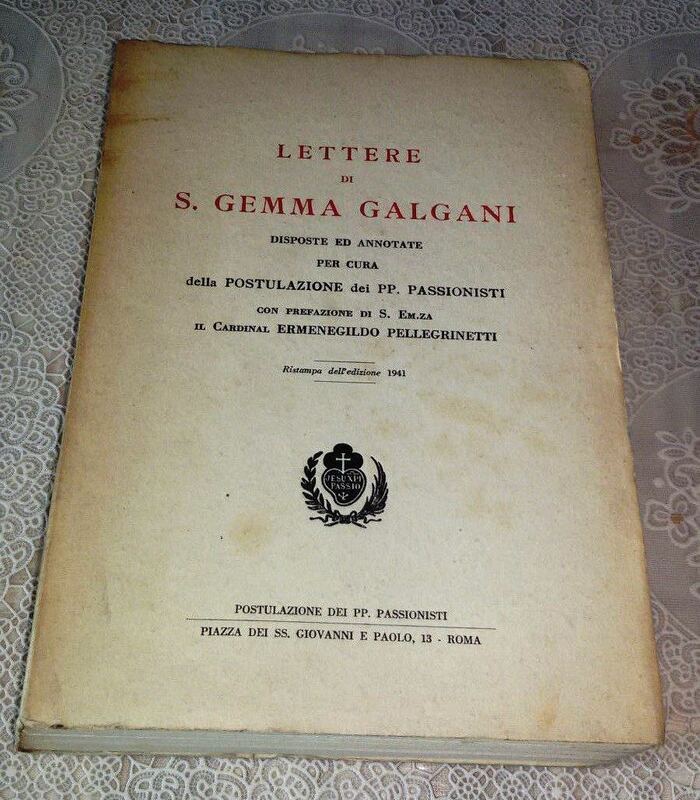 Gemma asks the Monsignor to write to Fr. Germano that he put her in a convent. If You think it well do this: write to Fr. Germano that as far as Jesus does not dispose of me differently, to put me in some convent up there. He told me also that to him it was easy and he would do it voluntarily. If You would like to do it, I am content in every way. 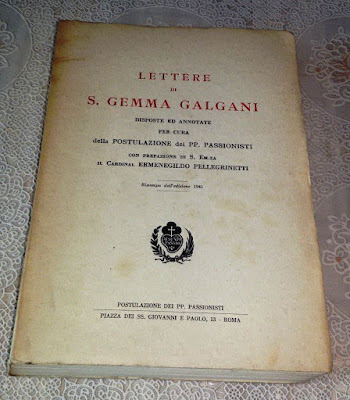 Strong oppositions from her aunts and a brother against Gemma for dealing with the nuns and with the sisters, they threaten her saying that they will speak with the Monsignor. Gemma prevents them with this letter. Yesterday evening I told You also that I would remain to sleep with the nuns and You gave me the permission to stay back with Jesus until Jesus wanted. But having just arrived at the convent, my aunt came and took me home. What big sacrifice I made! But I was there until 4pm. I came home (my other aunt returned as well): my aunts seemed good on the way, but just arriving home, a bit of a storm began. Then my other brother came and he began with blasphemies, (while he blasphemed my wound of that part opened) and everything yesterday evening I remained with the nuns, and then because I returned home. He thought that I wouldn’t return anymore. And everyone said that I always round about Lucca, that they do not like this manner: either I do not leave the house anymore or I go to a convent, because everyone asks him what I do, if I am crazy. My brother than tells me that if he finds me outside with Sister Maria, he will take me away and would not let me be seen anymore by anyone; he wanted to lock me in my room yesterday evening, so that this morning I could not leave even to receive Holy Communion. Monsignor, I felt happy and will do as You will. Now however if my aunt comes and You speak to her of that man, the storm will come indeed. Do not tell her anything, because it seems it would be worse; when I am at home and in danger, I trust in Jesus. Is it possible that Jesus permits the bad? Can I go there still with Sister Maria, truly? Are You content? I feel glad above all when I am with Jesus. Are you pleased that I go there every day, truly? Take me from my house out of charity; I cannot be there anymore. Now my brother is going away Tuesday, that man is closer. What will I do? But I am not dismayed: I trust in Jesus. Will You send me to tell something? I do not know what to do: I must still be with Sister Maria, right?